A blog for Marcus Nailor – Anything and everything! I’ve been using the Sony h.ear on (MDR-100ABN)’s since August 2016, I nabbed them for a stellar price because I opted for a tennis ball-esque yellowy green instead of a more subtle colour like black. My use of those has been almost daily since the date of purchase – they have held up remarkably well (ignoring some cracking of the brittle plastic headband, which is a known fault). I wasn’t looking to replace them until the M3’s caught my eye, ever since that moment the money going into my Monzo ‘Coin Jar’ has been destined to be spent on a new set of deluxe headphones to replace my bright yellow companion! I’ve been keeping my eyes peeled for a reduction in price on the M3’s – it’s not a common occurrence – but it finally happened, yesterday (12th March ’19). I was able to pick these beauties up for £279.98 before the price hopped back up to £290 – a definite win! I was eagerly awaiting delivery of the M3’s so it would be an understatement to say that I wasn’t a bit giddy at the sight of “your driver is a few stops away” on the tracking page. I quickly signed for them, took a photo of the box and tore into the shiny packaging. I was greeted with a lovely hard travel case, some accessories (charging cable, 3.5mm cable & aeroplane adaptor) and of course the headphones themselves. After a long delay on the power button, they ‘booted’ and I carefully placed them over my ears… The world simply melted away and I was in my own land of peace and tranquillity – I couldn’t believe how incredibly effective Sony’s noise cancelling was, this is coming from somebody who already has a pair of Sony noise cancelling cans. I switched between the two sets of Sony headphones I owned and the difference truly was remarkable, the reviews I’d previously read were not exaggerating the NC one bit. I was blown away (but quietly 😜). USB Type C is just wonderful, I can flip the connector around, use the same charger as my phone and although I’ve not broken a Micro-USB (yet) I know that the durability will be second to none. I’ve not yet needed to charge these as they shipped with 0% battery… Wait, what? Yep! They booted and said I needed to charge them, I then heard 10%, I saw 60% on my phone and 100% in the Sony management app 👀 I think it would be fair to say that the battery reporting was a bit all over the place. Never mind, I diligently installed the firmware update as instructed (taking the headphones from 2.0.0 to 4.1.1) and after a, seemingly endless, wait they were ready to go! I checked the battery life again and it had stabilised at the 60% mark and has only just gone down to 50% as I’m writing this very post. Portability is good to have and I can say that the case is quite compact, more so the ABN’s I thought they would replace (more on that later). It’s a dark grey weave pattern (similar to some plain grey suits) with a copper accent on the zip, which matches perfectly with the copper accents on the exterior of the headphones themselves – a nice touch. It’s no Pelican case by any stretch of the imagination but I am pretty confident that this case could survive a drop or twelve before giving up and letting the precious insides receive a nasty blow. I am gutted that this section needs to exist but it’s the contents below which have caused me to submit a return request to Amazon for these commendable cans. Let’s get to the nitty-gritty! The indecisive battery reporting glitch I can ignore but the poor quality of the robo-voice reading them to me? That’s got to change… The voice (Cortana) built into the Microsoft Surface Headphones sounds phenomenally crisp and, dare I say it, human! The £300 M3’s have somehow brought me a worse sounding battery assistant than the ABN’s from 3 years ago. I’m hoping that a firmware patch can resolve this in the future and that the M4’s come with something far more premium. The interface, you may have noted that there was no mention of buttons or media controls in the “Good” section of this review – that was for a reason. The interface on the M3’s is awful, truly awful. If you’re wearing gloves (even ‘touch capable’ ones) you may leave, you cannot interact with your headphones, no pause, skip, volume control or cupping of the hand to quickly hear the outside world again, none of it! And if you don’t have gloves on? Well it doesn’t get much better, pausing media is hit and miss – maybe I’m doing it wrong? It works a good 80% of the time but that’s based on how quickly you tap, where about’s on the ear-cup you tap and whether the headphones feel like helping. Then we look at volume controls and track skipping, I’m sure that Sony’s engineers built in some deadzone which determines whether a diagonal swipe means volume or track control but I’ve already done the opposite to what I want twice, I’m sure I’ll continue to hone in on the accuracy there but if I’m running at the gym with these on, I’m not going to be particularly delicate whilst trying to skip a track 😜. Call me old fashioned but I like physical buttons for some things, be that opening a train door or changing tracks on my headphones, Sony should do what B&O have done – incorporate both a physical button and touch controls! So even glove wearers can operate their headphones, we live in the UK, it gets pretty chilly sometimes ⛄. Final mention for the interface, other than the media controls you have two buttons: Power & NC on/off. The power button takes an excessively long time to turn the headphones on or off – please shorten the delay, Sony. And the NC button has 3 modes, Noise Cancelling, Amplification mode and off all together (just regular headphone mode). The ‘super hearing’ mode, as I’m calling it, seems like a gimmick and I can’t see a use for it. The same button however can be used for a voice assistant… One dilemma, it’s either or, not both! Sony should’ve added a third button, I want the ability to talk to my assistant and also have the ability to turn NC back on (without going into the app) if the outside world is getting a bit rowdy 😜. Sony should really have another button on the next revision (or incorporate a long press somewhere, perhaps). Sony’s app, it exists. I won’t say much more than “why?”, why does an app need to exist for headphones, firmware updates are great (though it would be cool if Android could handle that natively somehow) but besides performing those once in a blue moon, the app is excessive for my needs. These are remarkable headphones, they look and sound the business but the “not so good” section is a deal-breaker for me, for you it might not be but I can’t sit here with those misgivings for years to come, if it was all fixable in software then I’d wait it out and start raising support tickets with Sony but as that’s not the case, I’ll have to send them back and hope that Sony ace it next time. If you’re not bothered by the negatives I’ve laid out then by all means buy a pair right now! You won’t be disappointed, they sound quality is second to none (not that I’ve tried anyway) and the build quality is solid. They’re attractive, comfortable and I know that the battery life will live up to, if not exceed, the claimed 30 hours. I’m back and I intend to be more active going forward 🙌 Let’s get to it, shall we? Monzo recently posted about a handy donation link which would allow content creators to get paid from their work – similar to a PayPal donation link. I have written, and will continue to write, for free on WordPress as it’s something I find interesting, enjoyable and relaxing but I definitely wanted to give this new Monzo feature a go! 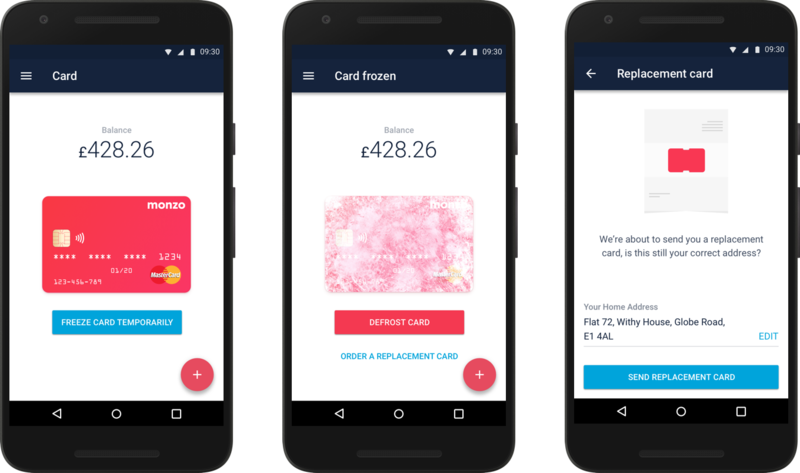 (As I do with nearly every Monzo feature I can get my hands on) You can read more about this new idea here. So at the bottom of this post you will see a nearly perfect widget with the Monzo branding on the side. This is the first iteration of the embedded widget but it’s fully customisable – you can read more about the initial release here. I was super excited to give it a go so I rushed to WordPress and attempted to add a widget, I messed with the formatting for a few seconds but couldn’t get the layout quite right for my WordPress sidebar (I’ll have a proper play when I’ve got more time and a proper text editor handy). But sadly WordPress disallow <button> tags on their free sites 😔 the simple solution is to pay for it (as far as I can tell) but I don’t feel that it would be beneficial to pay for a side-hobby at this stage so I shan’t do that. There is a work around however, the majority of the HTML can be embedded into a post – such as this one – and instead of using a button for “Donate now” I can just switch it to a, much uglier, hyperlink. Is it perfect? No. It does work though so I’m a happy bunny. I’ll be interested to see how Monzo’s little project grows going forward, I’m eager to see things such as Pots integration – i.e. all income from donation links moving straight into a pot. And little insights into traffic on a month-by-month basis; showing off clicks + payments along with clicks + non-payments would be an awesome thing to distinguish. I’ll start off by saying this; I’m a massive techie, I love technology and know a decent amount about it, not to mention the fact that I keep pushing the bounds of my knowledge and develop it every single day… But all of the ‘tech guys’ in the world will agree on one thing: WiFi needs to just work, no questions asked. Google WiFi achieves this with a clean & tidy (expandable) system. What is Google WiFi? It’s many thing; an expandable mesh WiFi network, a wireless AC 2×2 MU-MIMO AP (Access Point), a clean ‘puck’ which fits seamlessly into any environment and above all else it’s a perfect solution to a problem which should’ve never existed – Wireless connectivity! Never again will a consumer need to reset their router or faff with a reset button, Google WiFi just works and I can say that without so much as a moment of hesitation. A bit of backstory into my networking life seems to be in order. Like I’ve said, I’m hugely into technology, it’s here and it’s our future so why wouldn’t I want to keep up to date with it? 😉 Not too long ago my home network was incredibly basic, a Virgin Media router/modem unit with Dual-band 802.11n – it ‘worked’ but speeds were abysmal, WiFi strength was minimal and dropouts were frequent! This resulted in a lot of hard-wired connections, Ethernet cables running under the floorboards, through ceilings and walls… It was a mess! Before that it was Powerline to the rescue, an impressive, but flawed technology. Speeds, stability and latency were all issues with the Powerline setup I had configured, it was like patching a sinking ship with cardboard, it slowed the sinking down but the water was still pouring in. Being the tech of the house I was off to the rescue (for myself at least)! With Powerline in tow, I dropped a super basic TP-Link AC Router into the mix, now I had a ~50mbps Powerline with a WiFi Router and a couple of Ethernet cables for laptops and PCs. The same speed and latency issues were still present but now I had WiFi in the far corner of the house and it was uncontested as I was running it at 5GHz in a time where nobody else was touching those frequencies. But something needed to change, WiFi dead-spots existed all throughout the house. I had an incredibly awful Netgear router with the most useless antenna and poorest range I’ve ever had the displeasure of setting up! But for excluding those pesky dead-spots it fit the bill (after flashing DD-WRT of course). More time went by and it was clear that this wasn’t going to be a long term solution, I ended up running another Ethernet cable under the floor and into the back of the house, the VM Router was flicked into “Modem Mode” and an Asus RT-AC68U was installed! Wonderful, the kitchen had WiFi and the Chromecasts stopped coughing and spluttering every other scene. And yet, something was still lacking! The furthest corners of the household were still begging for usable WiFi and we’re getting it, some firmware tweaks and antenna movements later and nothing had changed in a significant way. But in April 2017 Google WiFi finally reached our shores! And I had an order placed as soon as I could press checkout. Now, a year later, what do I have to say about Google WiFi? I purchased them as a dual-pack. One for the front and back of the house, but it doesn’t just cover front & back… No! It covers front, back, top, bottom, left and right! I can be across the street and still be streaming 4k videos on YouTube, it’s fabulous! The speed is always present and ready, the signal strength is through the roof (quite literally), I can drop Cast enabled speakers half way down the garden and still have them kicking out bass, mids and highs! The app gives me full remote management of my network (securely) and allows for the disabling of any logs getting packed up and shipped to our ‘Google overlords’. But back to the good stuff, wired mesh is spot on, a full 1gbps link between the units, it’s expandable up to 5 ‘pucks’ if you have a MASSIVE home / plot of land. And they look damn good, wouldn’t you agree? They hold up incredibly well even with dozens of devices connected, I can max out my internet connection indefinitely – I think the VM hub would give up the ghost before these things broke a sweat. I can say nothing but good things about the hardware, the software is ever changing and improving (for real!). So here’s to the next year of using Google WiFi, the best consumer WiFi solution ever created (to date)! I’m writing all of this post on a Chromebook… But this is not ordinary Chromebook, no. This is an M&S Chro… wait, it’s a Pixelbook! Google’s latest and greatest, top-est end, most premium Chrome OS device to date and I don’t love it! Do you know why that is? Because it’s still not ‘there’ yet. If I was asked to define ‘there’ I’d struggle because my definition will differ to yours, or anyone else’s for that matter. Here’s how I see it from where I sit; the hardware (which I’ll get into shortly) is nothing short of breathtaking, tbc. The software however, that’s where it all falls apart for me. It’s not as simple as ‘the OS isn’t fast enough’ or ‘the battery isn’t good enough’ or ‘the keyboard is bad’. It’s more of a systemic issue with everything that Chrome OS isn’t (yet). I’ll start off with the bad here and try to end it with the good stuff! It’s QUICK, everything is lightning fast it’s as if it knows what I’m about to do before I want to! The ability to switch to mobile data automagically with the Pixel XL and the addition of Android apps (disappointingly these are still buggy despite reaching a “stable” release) and the speed, did I mention how fast this thing is? The OS, Chrome OS, is lean, mean – a killing machine! The updates come through quickly, the boot times are unbelievable and tablet mode is nice. I said I was going to start off with the bad though, so here I go. On the Pixelbook apps are definitely available. I’ve got Jetpack Joyride installed (not a sponsor) and it runs super well, just a shame that at the native resolution of the Pixelbook the app looks a tiny bit blocky, this is resolved by dropping the res down to 1280×800 (or thereabouts). Other apps, Slack, Plex and Google Play Music… These I dislike a lot, firstly I run a work and personal Google account on the same device and if I login to both at once I’m unable to run Android apps on both accounts?! What’s that about! So I’m limited to the account I signed in with first. Secondly the Android apps, on several occasions, have outright ceased to work, as if nothing was installed whatsoever; including the Play Store. What else can I say about them? Sometimes they’re active in the background without me having visibility of them, i.e. Plex started playing Friends outloud despite me stopping my viewing and exiting the app, yay. Slack doesn’t scale well to the high resolution, meaning text and buttons are tiny. And furthermore when I’m in tablet mode, Android apps are stuck in fullscreen mode! The only good thing about Android apps seems to be that they exist, IMO they’re far from “stable” and the availability is still lacking on what is essentially an Android tablet. Meaning that my phone has the potential to get more done than my laptop does. Hmm, that doesn’t feel right. Back to the OS; outside of Android, the Pixelbook does nothing that a Chrome browser can’t do, it has file storage – without native SMB or SFTP support, another app I need to install… The browser is super duper nice though, 8GB of RAM is needed for a Chromebook, 16GB on the base model would’ve been perfect though. One final niggle with the OS, the way it interprets touch screen inputs feels janky to me, say I want to long press a bookmark in the browser, I hold it and instead of a menu coming up (like it might in Android) I release it and it was ready for me to drag it, at which point a right-click-esque menu finally appears and I can press a small button to open in a new tab. Not perfect in terms of UX. Ok for real though, this hardware is flawless, I can’t knock it! (Physical hardware) the keyboard feels lovely to type on, I prefer it over any desktop keyboard I’ve used to date (weird I know). The CPU is a mobile i5-7Y57, this is a 4.5W Dual Core (with Hyperthreading) unit. Performance of this seems fine, it isn’t entirely lag free, i.e. I can make the Pixelbook crawl if I really push it but day-to-day it holds up just fine. A slight aside here, I had the Chromebook Pixel (2015) model from Google back when that came out and the 2017 Pixelbook is a massive step up over that, the previous Chromebook would choke and splutter when I loaded up a 4k YouTube video, it’d run out of RAM if I opened too many tabs, etc. So between software changes (up to version 62 of Stable Chrome OS) and the Kabylake CPU vs the much weaker i5 used in the previous Chromebook both go towards making the Pixelbook a fantastically performing machine! The screen, as far as colour accuracy and sharpness goes; it’s immense! Google (LG) is using a 2560×1700 resolution, which equates to a 3:2 aspect ratio, which for web apps is wonderful, the additional vertical space makes browsing lovely and it still works well for playing 16:9 content. So why did I put “LG” in brackets? Well that would be because the Pixelbook, though a Google device, was manufactured by LG under the codename ‘eve’. So the resolution is great, the IPS panel displays wonderful colours but is there a problem with this display? Yes. I think there’s some room for improvement on the brightness side, 400 cd/m² means a whole lot of nothing to me! 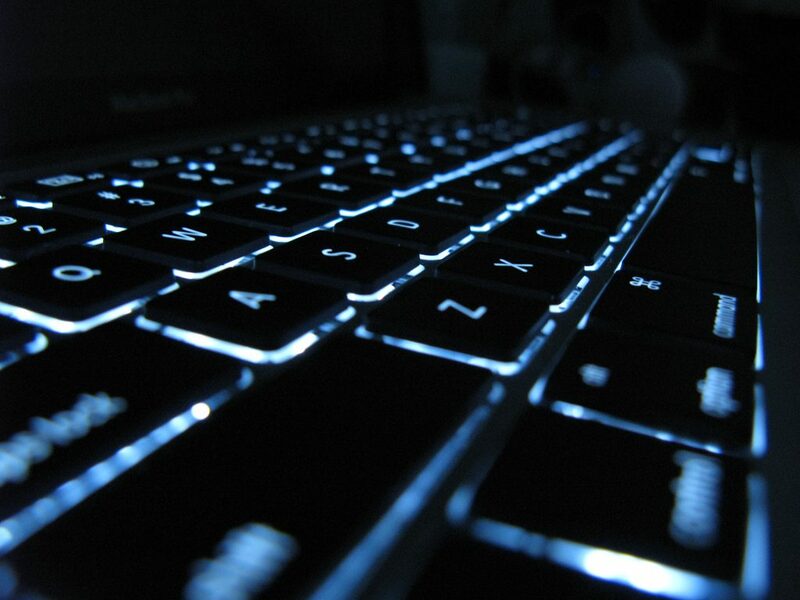 But even indoors, if sunlight strikes at just the wrong angle, the screen is a challenge to view, the backlit keyboard also has some room to grow in terms of brightness… Unless the room is pitch black, the keyboard backlight is useless (which is arguably true of any backlight?) but I’ve seen plenty of laptop keyboards which look lovely in standard lighting conditions, such as the Razer Blade Stealth with its lovely Chroma RGB keyboard. The touchpad is nice, despite having received a defective unit… And here’s a good time to say that I’ll be returning my unit for a refund. Overall, though the experience is great! I’ve essentially spent £1098 on an Android tablet with a keyboard… It’s not worth it yet, I thought two years since Google’s last top of the range Chromebook would be more than enough time for the OS to grow into something wonderful – a Windows replacement for me. But that still remains to be an optimistic hope! The screen and touchpad are both made of Gorilla Glass and that makes them feel wonderful to interact with. Both surfaces are incredibly smooth and I was surprised at how few fingerprints this device has picked up. I’m almost ready to wrap up the hardware portion of this review. I’m just going to mention battery life and the silicon pads! I’ll start with the easy one, resting my palms on laptops is normally not fun… It’s either cheap flimsy plastic, an uncomfortably warm surface (because some daft engineer stuck a CPU or a HDD under there!) or the hard metal body. But Google have done something genius! They’ve got a couple of silicone ‘pads’ where your hands naturally fall, they’re white so I’m concerned that they’ll discolour over time. But in terms of comfort, they’re lovely, well and truly perfect! I love the Pixelbook, if this was a £500 device, I’d keep it. If it ran Windows, I’d keep it. If it was provided to me for free by Google for review, no surprises…. I’d keep it!! But this is a lot of my own money and for what it’s capable of it just doesn’t cut it for me. When Chrome OS gets to a point where I don’t still go “Oh, I just need to go back to Windows to do this” then I’ll be prepared to spend money on a Pixelbook (or whatever the name changes to) and maybe that’s me being optimistic again – Maybe Google never want to replace Windows or Mac OS! But if it ever gets close, I hope they let me know. I did have the Pixel Pen with the Pixelbook but I’ve got nothing nice to say so I shan’t bring it up. I will say one thing though… Unless you’re an artist, it’s a gimmick! Nearly at the end now, the packaging of this device was lovely. A truly nice unboxing experience that I’ll relive in reverse when I send it back. If you know the Chromebook is for you then get one, you’ll love it. But if you think for a second that it might be missing ‘something’ then avoid it… Spend your money on something better or wait in the hope that Chrome OS will expand into something glorious. It’s been quite some time hasn’t it? But I’m back! Plenty has happened, it seems I’ve just been too busy to write about it all. Skiing trip in France (thankfully no broken appendages on that trip!! ), lots of work, busy social life (for once) and a bit of new tech here and there. I’ve missed writing but then there’s no need to overdo it with boring topics! But I didn’t come here to reflect on what I’ve not shared, I’m here to introduce everyone to Fantom. Wallets aren’t generally considered ‘techie’ and this is no exception… But it sparked my interest after catching site of it on an Unbox Therapy YouTube video. Wallets in 2016/17 have taken off for reasons I can’t quite comprehend, there’s been a sudden flurry of modern, good looking wallets on the likes of Kickstarter & Indigogo. Some have failed, others made it, I can’t wait for Fantom to make it! So what could possibly be sooo exciting about a wallet you ask? Well; if RFID blocking, thin & light, yet strong, stylish functional wallets don’t sound intriguing, then I don’t know how I can persuade you – I’ll certainly try though. Wallets are boring, they sit in a pocket or a bag 90% of the time, only revealing themselves once you need to buy something – And even that won’t be true forever… Not with the advent of mobile NFC payments (i.e. Android Pay / Apple Pay). But in the mean time, a wallet is essential to safely and securely house all of your debit cards, loyalty cards, gift vouchers, etc. So why not do that in style? Every cashier has seen a plain leather wallet with a standard looking collection of cards & cash. But why not shake it up a little, throw a slim carbon fibre wallet out of your pocket with a hot coral Monzo card and people are going to look twice! It’s a conversation starter, it separates you from the pack and looks the part. I generally don’t take part in crowd-funded projects, there’s risk involved, there’s immensely long lead times with the chance that the project might fail after you’ve already contributed. But I have made a rare exception on this occasion (I haven’t backed many projects) I was sold on Keplero (A rival wallet company on Indigogo) I didn’t end up backing that and boy am I relieved! That project crashed and burned with plenty of sad customers… Back to Fantom though, I would love to wait and buy one on Amazon but that won’t necessarily happen, there’s a current ETA of December 2017 for my ‘reward’ which is a while but hopefully worth the wait. I’ll share a link to Fantom, I urge you to check them out 🙂 The style isn’t for everyone, granted. A leather wallet is much more traditional – but who say’s that we can’t shake tradition up? There’s normally no need to fix what isn’t broken – where’s the fun in that though? Fantom is an exciting new wallet, stylish, modern & RFID safe. I can’t wait to get one in my hands.